Happy Wednesday everyone, how is your week so far? Hope you are doing great. 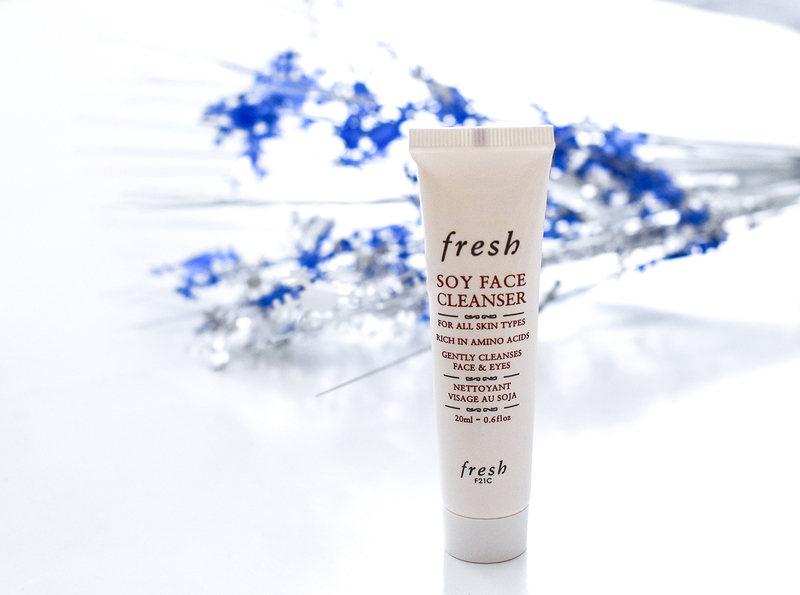 As the label claims, this Fresh Soy Face Cleanser is gentle enough to be used for all skin type, It can easily take off not only everyday impurities, but also makeup without stripping the skin of essential moisture. 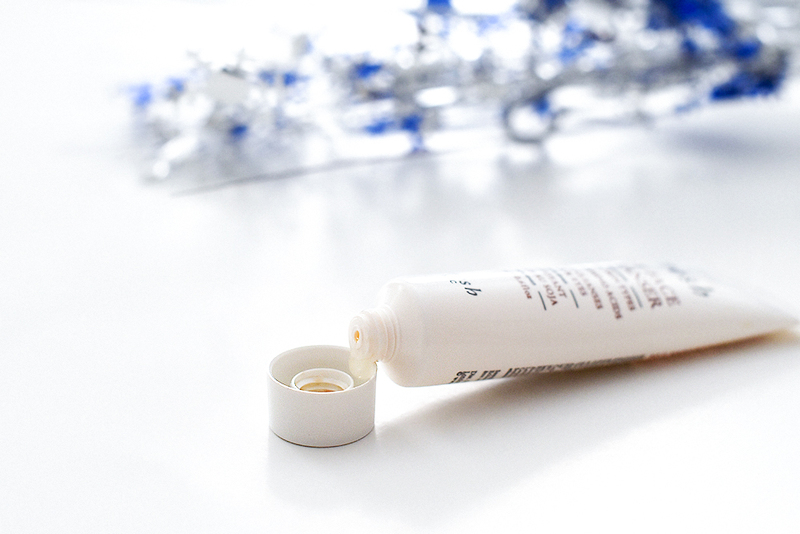 It's Paraben-free; sulfate-free, and phthalate-free. Now let me start from what I love about this cleanser: It's a slightly foaming, very gentle cleanser, it removes all my makeup without leaving any residue behind and without drying out my dry, sensitive skin. I can even take off my eye makeup except mascaras. For mascaras, I prefer to use my regular eye makeup remover. Now, what I don't like: This Fresh Soy Face Cleanser is a gel formula, and I'm not a big fan of gel formulas, to be honest. Another thing that bothers me while applying this cleanser is a cucumber scent. I don't know about you, but I can't tolerate cucumber scent in any product. For many people it might be refreshing though. And last thing that I don't like is the price. Even though this Fresh Soy Face Cleanser is a nice product, that does a great job removing my makeup, I still believe it's little overpriced. I have used great makeup removers that have done amazing job as well and they were much cheaper. So I don't see any reason to spend extra money on this cleanser when I can get the same result with less expensive products. Again, this is a nice cleanser, that perfectly removes my makeup without irritating my sensitive skin, but I still believe it's overpriced. Have you tried this cleanser yet? Share your experience with me, and have a fabulous day. I've tried this a couple of times before because it was free in a few magazines and I completely agree with you. It does the job but there's nothing special about it! I have this but haven't used it yet, it was gifted to me so the price tag isn't an issue but I agree about gels. Still, your post has reminded me I need to dig it out and give it a proper go! I never tried this cleanser, Fresh Soy Face Cleanser, and I think I am with you - maybe not only the gel, I could pass over it, but the cucumber scent. It's not that I hate it, but I would have preferred another scent for a cleanser, or none at all. I think your review was great and spare me some money :) Hope you have a nice day! I can tolerate apricot , peach , even rose scents sometimes but not cucumber, just like you. Have a fabulous day, Denise. Thanks for sharing this cleanser! I need to give it a try. Greta review. Thanks for sharing! I actually enjoy the cucumber scent but what I dislike about this cleanser is it felt slimy to me and it didn't do much for my skin at all. Great review! Sounds like a wonderful product! Love those cleanser. Great review, Nins! Thanks for sharing! This is my sister's favorite face wash and I've also really liked it the few times I've used it! Thank you for your honest review! I thought it's weird when I read the title but then you'll be surprised at how many natural products could deliver good effects. Thanks for sharing. Haven't tried that product, but thanks for the honesty. Thanks for sharing. Sounds great, especialy thta it's paraben free and removes make-up without drying out skin. I like cucumber scent, so this would work for me. I love this cleanser but I never buy it for myself. I always get in subscription boxes! Thanks for the review, I've never heard of this brand before! This sounds lovely, I think I would like the cucumber scent! I haven't tried this cleanser yet, but for the price I too think that there might be better alternatives! My favorite is the Eminence Coconut Milk cleanser, which is very gentle and it lasts a very long time. I might try the Fresh Soy cleanser as a sample first, I'm curious about it. Sounds great! I do prefer more affordable options though. That cleanser sounds great. It's a shame we don't have Sephora here in the UK. I know what you mean about gel cleansers! I haven't found one that agrees with me yet. I tried this cleanser and it didn't work for me. I use REN and Mad Hippie.